Light gold color. Oaky aromas of snickers bar and sticky date pudding with a slightly chewy, vibrant, dry-yet-fruity light-to-medium body and a peppery, delightful, medium-long sandalwood, lemon verbena, cinnamon pastry, candied cherries, allspice dram, and walnut creme finish. A rich, fruity whisky with an instant hedonistic appeal. 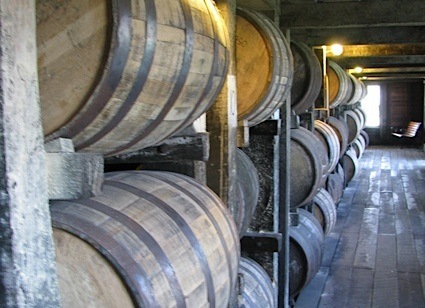 Bottom Line: A rich, fruity whisky with an instant hedonistic appeal. 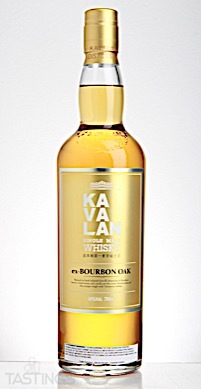 Kavalan ex-Bourbon Oak Single Malt Whisky rating was calculated by tastings.com to be 92 points out of 100 on 7/31/2018. Please note that MSRP may have changed since the date of our review.